A rendering of a public space inside the new Moxy New Orleans. New Orleans is providing travelers with more hotel options and inbound flights as festival season rapidly approaches. 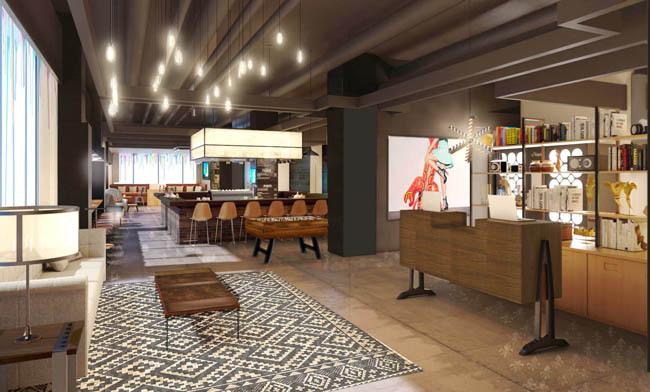 Marriott’s new millennial-focused brand, The Moxy, is making its U.S. debut this March in New Orleans’ business district at the former location of the Quality Inn and Suites on O’Keefe Avenue. Efficient service, smart technology and affordability are chief components of the new 108-guestroom Moxy New Orleans, where amenities include high-tech lounges, a 24/7 grab-and-go food kiosk and speedy WiFi. There will also be a library, a full-circuit gym and fun zone, and a coffeehouse by day/ hand-crafted cocktail bar by night food and beverage option. Nearby, guests can visit the famed French Quarter, the Mercedes-Benz Superdome and the Civic Theater. Expect to see more Moxy hotels popping up in the U.S.—New York, San Francisco, Chicago and Seattle—later this year. Regular room rates start at $169 per night. In the summer, rates start at $109 per night; $299 in the high season. For more information, call (504) 525-6800 or visit marriott.com/hotels/travel/msyof-moxy-new-orleans-downtown-french-quarter-area. A suite at the Hyatt House New Orleans/Downtown. Hyatt House New Orleans/Downtown, the first Hyatt House hotel in New Orleans, opened last November in the heart of the business district. The property features 194 residentially inspired studio and 1-bedroom suites, a lounge and a 24-hour gym, as well as a bar that also serves comfort foods, and a 24/7 market stocked with snacks, salads and sandwiches. Guests also have access to the amenities at the neighboring Hyatt Regency New Orleans, including the award-winning 8 Block Kitchen and Bar and Vitascope Hall restaurants, via a second-floor sky bridge. The hotel’s central location at Poydras Street and Loyola Avenue means guests are never more than a few blocks away from Loyola Streetcar Line, the Mississippi riverfront and other popular downtown attractions. Room rates start at $109 per night during the low season; $139 per night during the high season. For more information, call (504) 648-3118 or visit neworleansdowntown.house.hyatt.com. 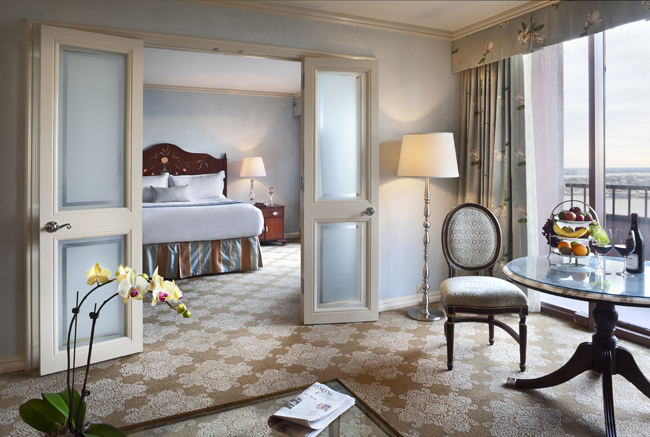 A suite at the Windsor Court Hotel in New Orleans. The 316-guestroom Windsor Court Hotel offers elegant accommodations with a side of Southern hospitality (and cooking) with its new Winter Escape package, starting at $239 per night. In addition to a guaranteed suite upgrade upon arrival, guests receive a $50 credit per night to use towards food, beverage, parking or spa services. At Windsor Court’s four-star, four-diamond restaurant, The Grill Room, chef Daniel Causgrove puts a contemporary spin on classic New Orleans dishes, creating comfort foods, including smothered greens, grilled gulf shrimp and Mississippi rabbit. For a more spirited taste of New Orleans, guests are invited to sip specialty cocktails created by mixologist Kent Westmoreland at the hotel’s bars, which play live music Tuesdays through Saturdays. The Winter Escape package is available through March 31. Regular room rates in February start at $272 per night. For more information, call (504) 523-6000 or visit windsorcourthotel.com. Amidst news of beginning construction earlier this month on a new terminal facility, Louis Armstrong New Orleans International Airport (MSY) has also announced its new flights from Arkansas, Los Angeles, Memphis, Pittsburgh and Shreveport aboard Allegiant, Spirit and GLO Airlines. Allegiant’s new service from Pittsburgh will operate twice a week beginning Feb. 19. 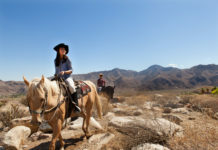 Spirit has two new services, a daily flight from Los Angeles, beginning April 14, and an additional daily departure from Las Vegas that began last November. GLO, a small New Orleans-based airline, is offering a new daily departure from Shreveport, beginning December, as well as two daily nonstop departures from Little Rock and Memphis, which began last November. For more information, visit neworleanscvb.com.